There’s a difference between a good man and a godly man. A good man makes sound decisions, is nice and loves you based on a worldly standard. A godly man makes wise decisions, is kind and loves you based on a godly standard. When looking for a long-term partner to start the journey towards marriage with, you want to make sure that he knows God and possesses most of his attributes. 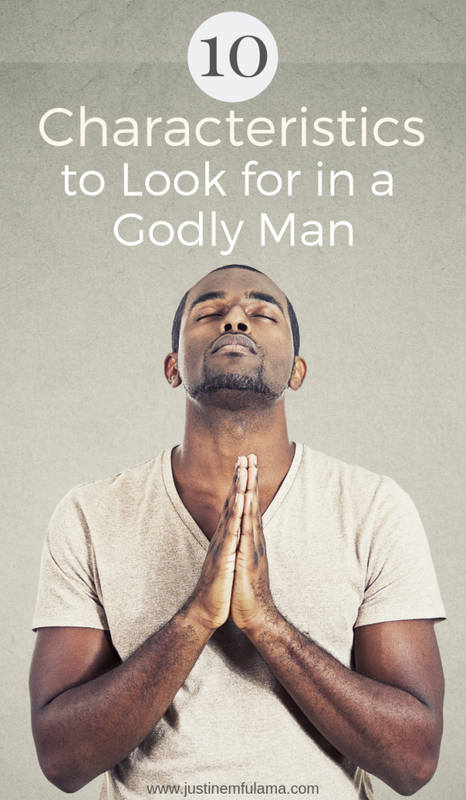 Today I’m sharing with you 10 characteristics to look for in a godly man. Ha I personally have a love/ hate relationship with this bible verse. Why? Because persevering is soooo hard. But at the same time soooo crucial when trusting God. Anyhow. 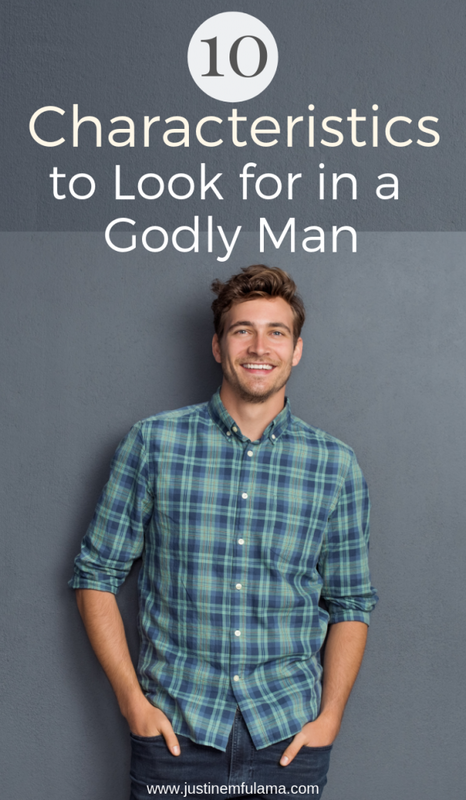 Why is that one of the 10 characteristics to look for in a godly man? Easy. Because life will try you, not once but often. Challenges, set-backs and flat out failures will happen, especially in relationships. And they will test your spirit, your love and your faith. Having someone by your side that knows how to persevere is important for you and your future family. Someone that knows that God is good all the time and that everything works together for your good. A godly man that has perseverance won’t give up at the first sign of resistance but be patient and trust God to work on his behalf. And if you are having trouble to find out if your love interest has perseverance, then just watch him in times of stress. Does he give up quickly and lose all hope? Or does he trust God to make a way? In a Christian Marriage, the husband is called to be the head of the household, wearing the head of Christ. 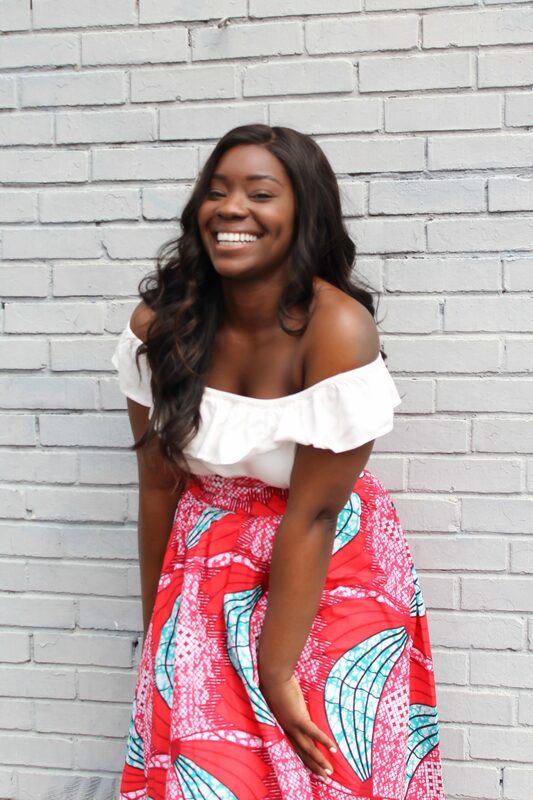 Because, submission is such a sensible topic to women in general, one of the ways to ensure you will enjoy submitting to your future husband is by marrying someone that is attentive and focused on the word of God. It’s easy to get distracted by false teaching and our own worldly desires. But a man who is committed to following and obeying Jesus while Single, will be easier to submit to later in marriage. An attitude of giving shows itself in a relationship. A man who enjoys giving, will have less difficulty to let go of money or material possessions. A godly man that knows that his riches are not earthly, but come from God, will worry less about money and know that God can meet his needs at all times. In your future marriage you will want to be with someone that willingly gives, not just to you but to people in need around you. Besides your tithes and offering, you will encounter people that need help. While you certainly don’t have to give all, I do believe that giving blesses the giver just as much as recipient. A man that gives generously, attracts people that enjoy giving as well. And a community like that is sure to bless you and your future family when in need. Being responsible is a prime indicator of maturity and wisdom. In a relationship you will face a lot of situations where someone needs to take charge and make a decision. A godly man should be willing to do so spirit-led. But also take full responsibility for his actions in hindsight. (And so, should a godly woman). Observe your boyfriend carefully when he is under fire. Does he own it or repeatedly blame it on something/ somebody else? If he tends to avoid taking responsibility, remember that small decisions now, become big decisions later. In addition, the Bible is very clear about the fact, that we will all have to face Jesus at one point and take responsibility for our actions on earth. How much easier will it be to stand in front of him, well aware of the good and bad we did. There are sooo many reasons why humility may be one of the most important characteristics to look for in a godly man, but the most important reason might be the following. One common habit of couples in a healthy relationship is that both partners are able to lay aside selfishness and consider the other one’s interest and well-being as important as their own. That is only possible if both of you can humble yourselves. A relationship can be challenging and confronting at times, however only people who are able to resist the desire to always be right and are able to acknowledge their mistakes and weaknesses can solve disputes. If not, the relationship can turn toxic really quickly. You want the man you date to be able to apologize and put your feelings first at times. This personality trait of a godly man almost seems like a no brainer, but it’s worth repeating anyway. In healthy relationships, trust builds the foundation. After it is established, you feel encouraged to open up to each other, invest into each other and eventually commit to each other. However, broken trust is a major deal breaker in a relationship. Lying, is undoubtedly the fastest way to breaking that trust. No matter how big or small the lie might be, it leaves a nasty after taste and makes you question every following statement. That’s why honesty is one of the personality traits to look for in a godly man. Observe his actions and see if they align with his words. Even a tendency to use white lies, might become an issue. If he repeatedly uses them to justify his actions, you should have an honest conversation about that. They say: ‘communication is key’. However, nobody ever explains how to communicate well. Thank God, God does! And who better to learn from than the creator of language himself. God’s Tip: listen more, speak less and don’t act out of anger. Does your boyfriend use this tip in your relationship? A man who is self-aware and can communicate well, will be able to voice his needs and wants without getting angry or abusive. He will not be controlled by his emotions or pride, but by love. He will know how to act in order to de-escalate potential arguments and make you feel heard. Because in order to have a successful relationship, couples need to know how to communicate to each other. Look for a man that talks to you with respect and acts reasonably even when he is agitated. I’m going to be completely honest with you, I’ve struggled with being forgiving in my past. I’ve lost great friendships because of it and it’s one of the few regrets I have. Every time somebody wronged me, I would cut them off and insist on holding a grudge, regardless of their apology. But guess what, in a relationship you will be wronged because neither of you is perfect. Only problem, you can’t cut them off every time. You must be willing to forgive in order to heal. That’s why you should look for a man that knows how to forgive and reconcile in times of trouble. If he is forgiving, it’s a sign that he is compassionate and kind, which are all important in relationships. Make sure that he isn’t the type to hold on to a grudge and be bitter, but instead looks for opportunities to experience joy. After all, forgiveness comes easy if the person is filled with love. Contrarily to popular belief, wisdom isn’t just gained with age, but can be found at a younger age too. How? By fearing God and listening to wise counsel. The last thing you want is a man that believes he knows it all and doesn’t have to listen to anyone, including you. This man is full of pride and blinded by his own knowledge. Instead you want to be with someone that seeks wisdom by seeking God’s guidance, his word and a relationship with him. That man is humble and understands that no matter how much he knows, he doesn’t know it all and needs to rely on God. Honestly, I believe this one is the most important characteristic to look for in a godly man. You see, a man can be all of the characteristics above, but if he doesn’t fear God there is no guarantee that he is not going to change his behavior at one point. The only, I repeat only thing that will keep a man in check is if he fears God and lives his life accordingly. Knowing that God judges our behavior towards each other and sees the things we do in the dark encourages us to live a life of obedience. Trust me, a man whose desire it is to please God and not just himself or you is what you want. A man that doesn’t take being a Christian lightly, but understands the weight of his sins. Because that’s a man that will treat you right. All these personality traits mentioned above are great characteristics to look for in a godly man. However, I challenge you to take it a step further and do a word study on biblical manhood. Use the bible verses included as a starting point.